The force behind The Blind Mole is Brett Scott & his little family & its really quite simple, we buy the things we like!! The items that we would love in our own home. The things we would love to see in a retail space, bar or cafe if we had any of these!!! 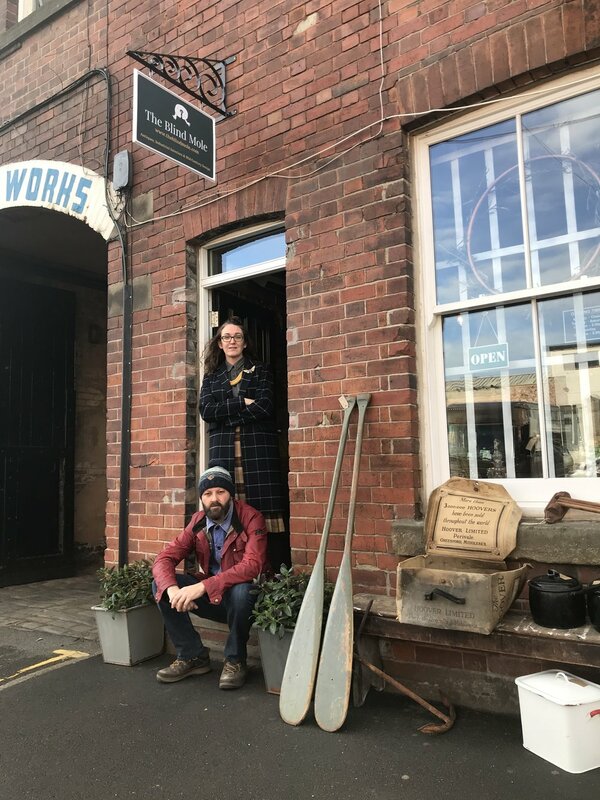 Based in the steel city of Sheffield Brett has been dragging his family around buying & selling vintage items for many years & with the help of our lovely children this website & the Blind Mole was born. Unique, timeless, quirky, classic pieces which span the eras, The Blind Mole is all about bringing these finds direct to you wherever you are. Allowing a wider audience to experience our eclectic mix.